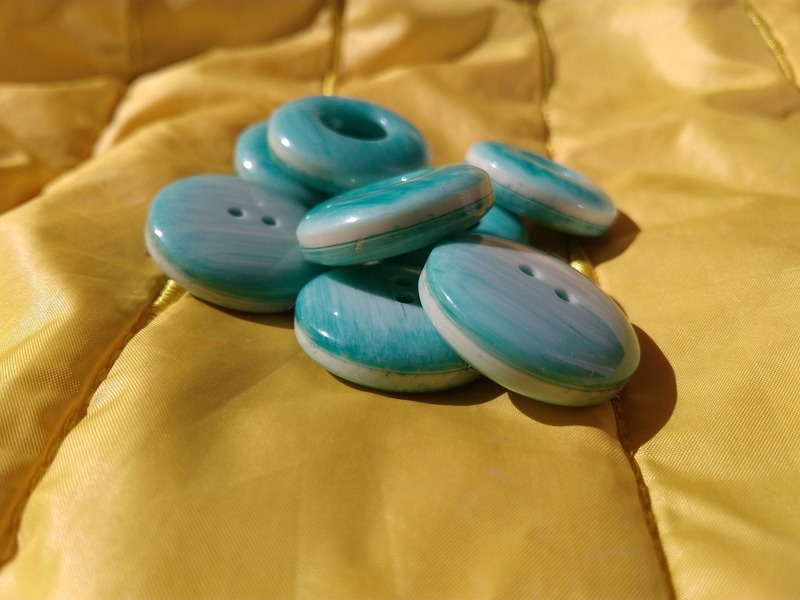 Vintage Blue Turquoise Buttons. 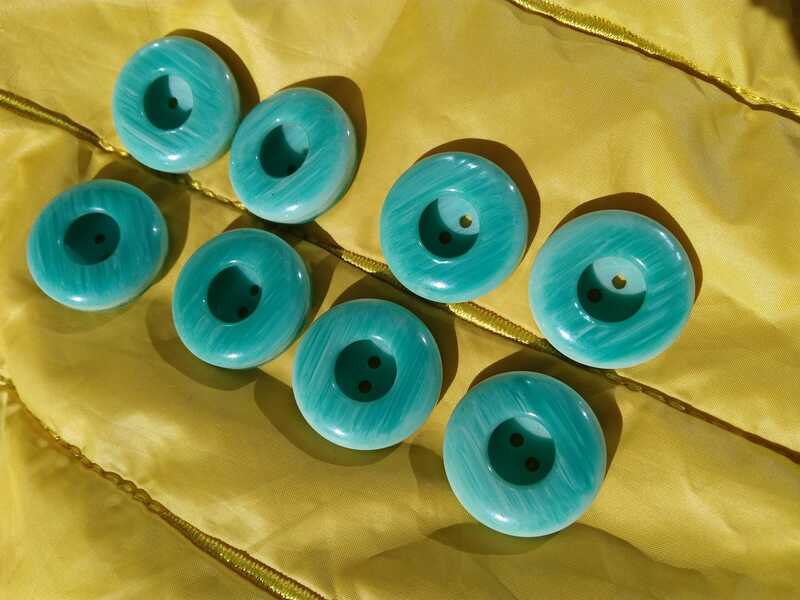 8 French buttons. 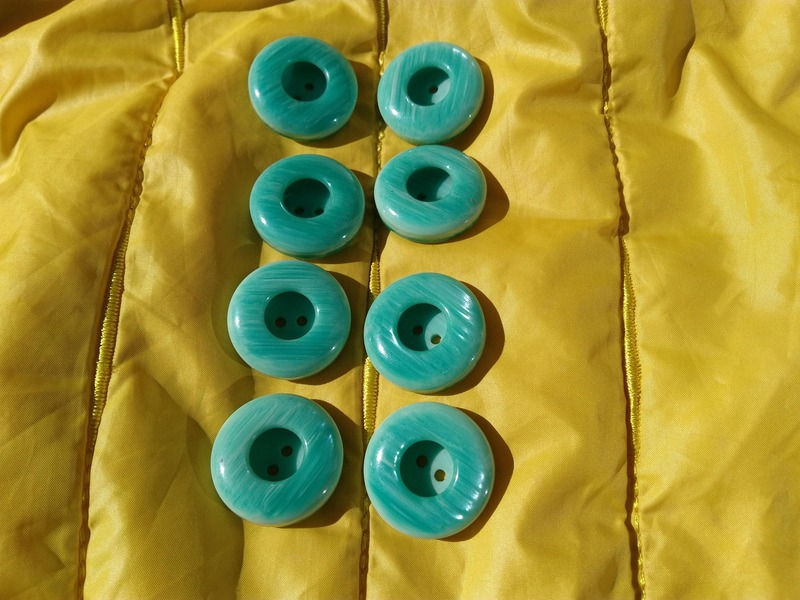 1960's Buttons. 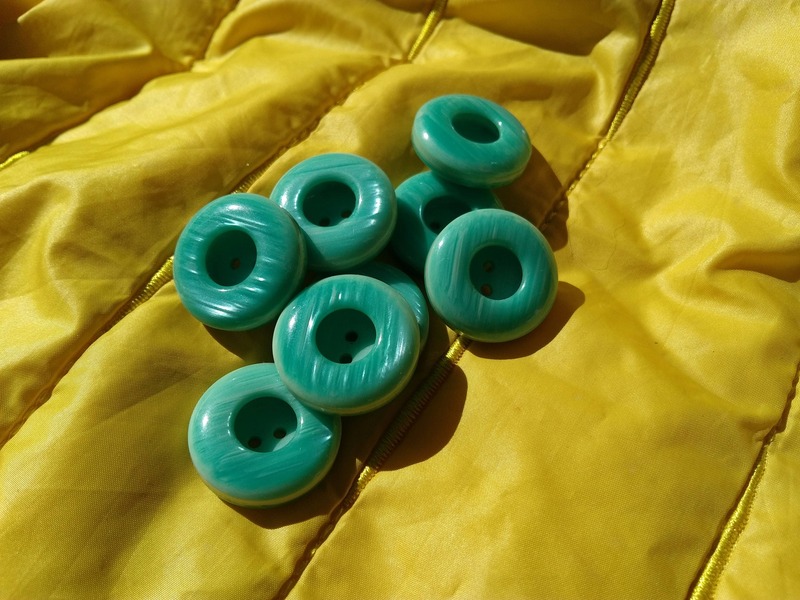 Candy style. 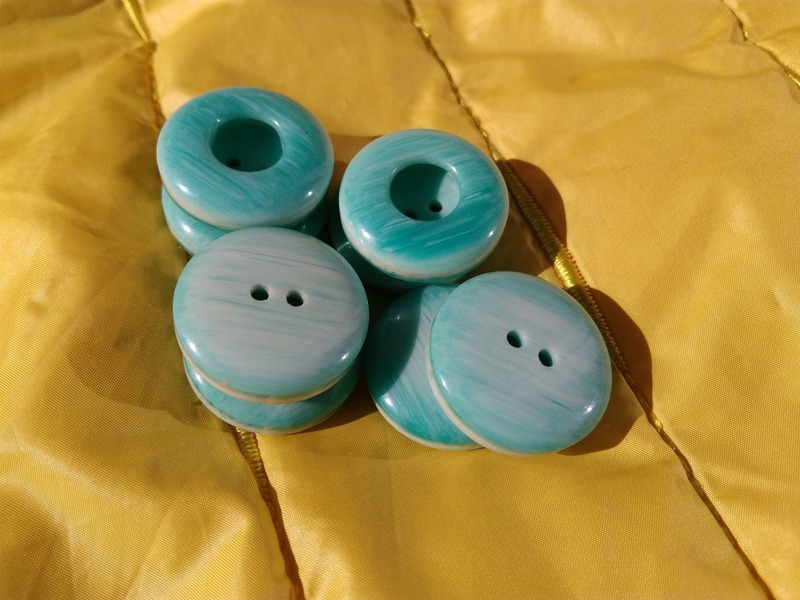 Blue Turquoise color MOP pattern. 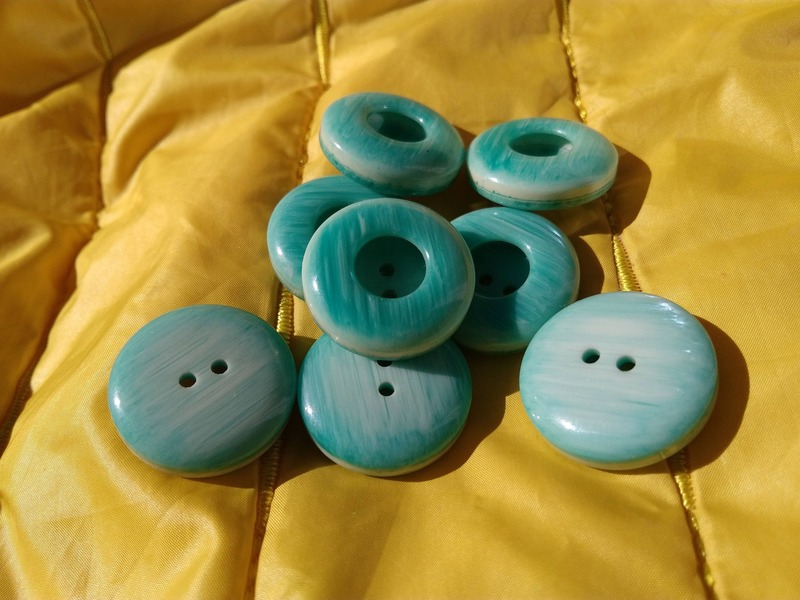 Double buttons, made of two parts. Quite thick : 0.2 in. 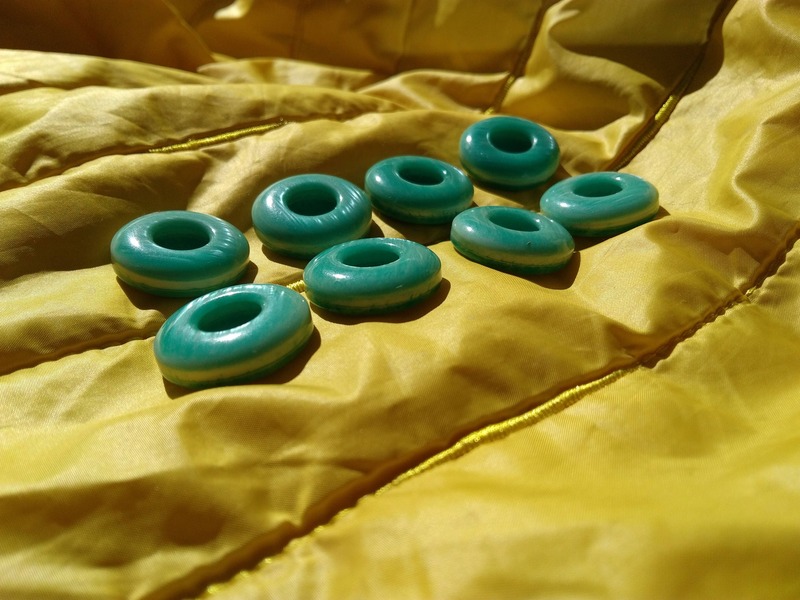 Original on a coat, suit, jacket or to decorate a box or make jewels ! 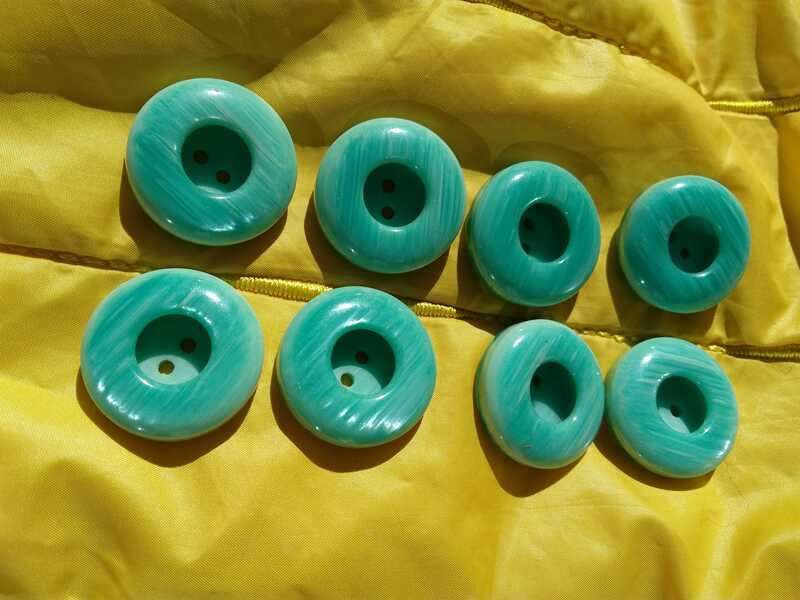 Listing is for 8 buttons.